Table 1. Virus profile identified by four different laboratory methods. Table 2. Laboratory methods performed by samples from 71 different patients. Table 3. Mono-detection and co-detection of viruses in 63 respiratory samples from patients admitted to the PICU during the 2009 influenza A(H1N1) pandemic in Rio de Janeiro, Brazil. Table 4. Demographic and clinical characteristics at admission of children admitted to the PICU in Rio de Janeiro during the 2009 influenza A(H1N1) pandemic, according to H1N1-negative versus H1N1-positive detection and viral mono-detection versus viral co-detection in respiratory secretions. Table 5. Outcomes of severity in children admitted to the PICU in Rio de Janeiro during the 2009 influenza A(H1N1) pandemic, according to H1N1-negative versus H1N1-positive detection and viral mono-detection versus viral co-detection in respiratory secretions. Table 6. Characteristics of patients with an outcome of death, among the 71 children admitted to the PICU in Rio de Janeiro during the 2009 influenza A(H1N1) pandemic. The role of viral co-detection in children with severe acute respiratory infection is not clear. We described the viral detection profile and its association with clinical characteristics in children admitted to the Pediatric Intensive Care Unit (PICU) during the 2009 influenza A(H1N1) pandemic. 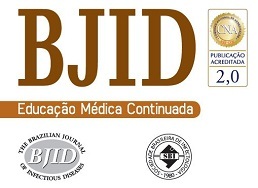 Longitudinal observational retrospective study, with patients aged 0–18 years, admitted to 11 PICUs in Rio de Janeiro, with suspected H1N1 infection, from June to November, 2009. The results of respiratory samples which were sent to the Laboratory of Fiocruz/RJ and clinical data extracted from specific forms were analyzed. Of 71 samples, 38% tested positive for H1N1 virus. Of the 63 samples tested for other viruses, 58 were positive: influenza H1N1 (43.1% of positive samples), rhinovirus/enterovirus (41.4%), respiratory syncytial vírus (12.1%), human metapneumovirus (12.1%), adenovirus (6.9%), and bocavirus (3.5%). Viral codetection occured in 22.4% of the cases. H1N1-positive patients were of a higher median age, had higher frequency of fever, cough and tachypnea, and decreased leukometry when compared to H1N1-negative patients. There was no difference in relation to severity outcomes (number of organic dysfunctions, use of mechanical ventilation or amines, hospital/PICU length of stay or death). Comparing the groups with mono-detection and co-dection of any virus, no difference was found regarding the association with any clinical variable. Other viruses can be implicated in SARI in children. The role of viral codetection has not yet been completely elucidated. The influenza A (H1N1) pandemic in 2009, affected mainly children, young adults, pregnant women, and patients with chronic diseases. The overall severity of the disease was markedly increased compared to other influenza infections and there was a disproportionate increase in mortality.4 The hospitalization rate for influenza H1N1 in children in Argentina was twice the rate for seasonal influenza in the previous year.6 This pandemic quickly became a global health issue. With the development of better laboratory methods for virus detection, the isolation of these agents in samples of respiratory secretions has become easier and more common than before. Studies evaluating viral codetection in children during the pandemic in Brazil and in other countries confirmed that other viruses, with similar cold weather seasonality,7 circulated concomitantly with H1N1.8 However, the relationship between the presence of other respiratory viruses and clinical severity in pediatric patients is still unclear. Some studies have described an association between viral coinfection with H1N1 and worse prognosis,9–11 yet others did not show any significant difference in outcomes.4,6,7,12 Thus, the primary objective of this study was to describe the viral detection profile and clinical characteristics of children admitted to the Pediatric Intensive Care Unit (PICU) with severe acute respiratory infection (SARI) during the 2009 epidemic in Rio de Janeiro. The association of viral detection with clinical characteristics at admission and resulting outcomes was explored as secondary objectives. This is a descriptive longitudinal observational study using retrospective data. A convenience sampling of patients ranging from 0 to 18 years of age, admitted to the PICU with severe acute respiratory syndrome (SARS), defined as fever, cough, and dyspnea, requiring hospitalization, during the 2009 pandemic in Rio de Janeiro, Brazil, according to the Brazilian Protocol of Clinical Management and Epidemiological Surveillance of Influenza13 was utilized. SARI is the term most frequently used in the literature to describe severe cases, with a slightly different definition by the World Health Organization (WHO), as “an acute respiratory illness with a history of fever or measured fever of ≥38°C and cough, with onset within the past 10 days, requiring hospitalization”.14 In the present study, the term SARI will be used as synonymous of SARS for simplicity. During this period, samples of respiratory secretions (nasopharyngeal swabs, nasopharyngeal aspirates or tracheal aspirates) of hospitalized patients with SARI were sent to three reference centers for influenza virus in Brazil. In the present study, we included 71 respiratory samples from patients who were admitted to the PICUs of six private hospitals and five public hospitals, from June 1 to November 30, 2009. These samples were tested for H1N1 virus in the respiratory virus laboratory of the reference center Oswaldo Cruz Foundation in Rio de Janeiro (Fiocruz/RJ), using the Real-time Polymerase Chain Reaction (RT-PCR) kit for H1N1 virus provided by the United States Centers for Disease Control and Prevention (CDC). These samples, which had been stored at −70°C, were retrieved for further testing. Sixty-three samples were found to be viable and were retested for the presence of other infectious agents using one of the following three techniques, depending on availability at the Fiocruz laboratory: RT-PCR for non-influenza respiratory viruses from a CDC-based kit, RespiFinder (RespiFinder 22 kit; Pathofinder B.V., The Netherlands), or the Fast-track (FTDRP 21 plus multiplex real-time RT-PCR assay; Fast-track Diagnostics Ltd, Sliema, Malta). Seven respiratory viruses were screened by using RT-PCR for non-influenza respiratory viruses from a CDC-based kit; 17 respiratory viruses were screened by using the RespiFinder and 20 respiratory viruses and five bacteria were screened by using the Fast-track (Table 1). The RespiFinder and the Fast-track methods test a very similar virus profile. The differences are that the Fast-track identifies Rhinovirus and Enterovirus separately, discriminates Human Metapneumovirus in A and B, and test for Parechovirus, while the RespiFinder does not distinguish Rhinovirus from Enterovirus (reported as RV/EV), identifies Human Metapneumovirus in general and does not test for Parechovirus (Table 1). Virus profile identified by four different laboratory methods. H1N1, influenza A(H1N1)pdm09; RV, rhinovirus; EV, enterovirus; RSV, respiratory syncytial virus; HMPV, human metapneumovirus; AdV, adenovirus; PIV, parainfluenza vírus; HBoV, human bocavirus; Flu, seasonal influenza vírus; Cor, coronavirus; HPeV, Parechovirus; HiB, Hemophilus influenza B; S aureus, Staphilococcus aureus. Kit for H1N1 virus provided by the United States Centers for Disease Control and Prevention (CDC). RespiFinder 22 kit; Pathofinder B.V., The Netherlands. FTDRP 21 plus multiplex real-time RT-PCR assay; Fast-track Diagnostics Ltd, Sliema, Malta. Eight samples were tested only with the RT-PCR kit for H1N1 virus during the epidemic, while 63 samples (89%) were retested later at least with two methods, including the Respifinder and/or the Fast track in 61 samples (86%) (Table 2). Laboratory methods performed by samples from 71 different patients. Samples numbered from 1 to 71. Demographic and clinical data were extracted from a specific data collection form for patients admitted to the PICU with SARI during the epidemic. Continuous variables were described as median and interquartile range and categorical variables were described as proportions. To compare H1N1-positive versus H1N1-negative groups and viral mono-dectection and codetection groups we used age-adjusted logistic regressions for categorical variables and non-parametric ANCOVA for continuous variables. In case of categories with zero occurrences, we used the Mantel–Haenszel test to adjust for age. Of the 71 samples analyzed in 2009, 27 (38%) were positive for H1N1. Of the 63 samples retested in 2015, 58 (92.1%) were positive for one or more viruses. with the following descending order of frequency: influenza H1N1 (43.1% of positive samples), RV-EV (41.4%), RSV (12.1%), HMPV (12.1%), adenovirus (6.9%), bocavirus (3.5%) parainfluenza (3.5%), coronavirus 43 (1.7%), and seasonal influenza (1.7%). Of these 58 positive samples, 45 were mono-detections (77.6%) and 13 were codetections (22.5%), 11 with two viruses (19.0%), and two with three viruses (3.5%). The most frequent combination of codetected viruses were RV-EV and RSV (four of 13 samples with two or more viruses). Of the original 27 H1N1-positive samples, 25 were retested and five (20%) showed codetection with other viruses. The H1N1 virus was present in 46.5% of the samples with a single virus (20/43) and in 33.3% of the samples with codetection (5/13) (Table 3). Mono-detection and co-detection of viruses in 63 respiratory samples from patients admitted to the PICU during the 2009 influenza A(H1N1) pandemic in Rio de Janeiro, Brazil. H1N1, influenza A(H1N1)pdm09; Rhino/EV, rhinovirus/enterovirus; RSV, respiratory syncytial virus; HMPV, human metapneumovirus; AdV, adenovirus; PIV, parainfluenza vírus; HBoV, human bocavirus; Flu, seasonal influenza vírus; Cor, coronavirus. Of the 71 originally analyzed samples, 16 had incomplete data in the corresponding case report forms (22.5%). Therefore, most of the clinical variables and outcomes were evaluated in 55 cases. Twenty-one patients (38.2%) presented with one comorbidity, and 28 (40%) with two or more comorbidities, such as chronic encephalopathy (25.6%), bronchiolitis (25.6%), cardiopathy (16.2%), hematological disease (16.2%), asthma (13.9%), malnutrition (13.9%), cancer (13.9%), other chronic pneumopathologies (9.3%), AIDS (4.6%), and obesity (2.3%). Chest X-rays were abnormal in 96.4% of the patients, the most common being diffuse infiltrates (52.8%) and alveolar consolidations (43.4%). Oseltamivir was administered to 70.9% of the cases, more than 48h after the onset of symptoms in most cases, while antibiotics were given in 85.5%, corticosteroids in 52.7%, and antifungal agents in 25.5% of the cases. Organic dysfunction was present in 60% of the patients, and 90% of those had two or more affected systems. H1N1-positive compared to H1N1-negative patients had a higher median age (3 years vs. <1 year, p=0.003), but not codetection group compared to mono-detection group (Figs. 1 and 2 and Table 2). Therefore, all subsequent analyses were adjusted for age. H1N1-positive patients presented more frequently fever (OR=5.30, 95%CI=1.40–19.98, p=0.014), cough (OR=4.04, 95%CI=1.62–16.35, p=0.028), tachypnea (OR=6.26, 95%CI=1.01–38.99, p=0.049), and lower leukocyte count (median of 4550 vs. 12,200, p<0.001) (Table 4). There were no differences between the two groups in terms of organic dysfunction, use of mechanical ventilator and vasoactive amines, hospital and PICU length of stay, and death (Table 5). Distribution of respiratory H1N1 positive and H1N1 negative samples relative to age groups of the patients. Distribution of respiratory virus mono-detection and co-detection relative to age group of the patients. Demographic and clinical characteristics at admission of children admitted to the PICU in Rio de Janeiro during the 2009 influenza A(H1N1) pandemic, according to H1N1-negative versus H1N1-positive detection and viral mono-detection versus viral co-detection in respiratory secretions. The values of N and p-value with statistical significance are shown in bold. OR, odds ratio; Ref, reference category. Logistic regression adjusted by age. Non-parametric ANCOVA adjusted by age as a continuous variable. Odds ratios were not calculated when there was a category with zero occurrence. Outcomes of severity in children admitted to the PICU in Rio de Janeiro during the 2009 influenza A(H1N1) pandemic, according to H1N1-negative versus H1N1-positive detection and viral mono-detection versus viral co-detection in respiratory secretions. OR, odds ratio; CI, confidence interval; Ref, reference category. Non-parametric ANCOVA ajusted by age as a continous variable. Comparing mono-detection and codetection groups, no differences in relation to variables at admission or outcomes were found (Tables 4 and 5). The fatality rate was 15.5%. Of the 11 patients who died, clinical data forms were only available for nine. Seven had comorbidities, and all nine had abnormalities in chest X-rays. Eight patients were given oseltamivir, but only four within 48h of the onset of symptoms. H1N1 virus was isolated from five of these 11 patients, in four cases as a single virus and in one case associated to RV/EV and adenovirus. In the remaining six samples, adenovirus was detected in one, RV/EV in another and no viruses in a third. (Table 6). Characteristics of patients with an outcome of death, among the 71 children admitted to the PICU in Rio de Janeiro during the 2009 influenza A(H1N1) pandemic. NI, no information; NA, not applicable (only one method used). In the present study, 38% of all samples were positive for H1N1 virus, while 92.1% were positive for some virus. Viral codetection occurred in 20% of the H1N1-positive samples and in 22.5% of all positive samples for some virus. H1N1-positive patients were older, had higher frequency of fever and cough, and lower leukometry compared to H1N1-negative patients. We found no association between viral codetection and clinical variables or outcomes. The 2009 pandemic presented unique opportunity to study the H1N1 virus, other etiological agents implicated in SARI, and viral codetection. There are reports of positive nonspecific viral detection ranging from 60 to 90% during the 2009 pandemic.8,9,12,15 The high frequency of virus positivity observed in our study in the retested samples (92.1%) can probably be explained by the association of methods used to test most samples and the high sensitivity and specificity of the laboratory methods employed16–18 since three or more methods were employed in 81% of the retested samples and the RespiFinder and/or Fast-track methods were used in 97% of the retested samples. The high frequency of comorbidities in the population of critically ill children of our study, primarily chronic encephalopathy and a previous history of bronchiolitis, was similar to that reported in hospitalized patients in the US (73%)19 and in children admitted to the PICU in Germany (75%),20 where neurodevelopmental diseases were the most prevalent. We observed a high case fatality rate of 15.5%, possibly related to the severity of illness in our study population, which is comparable to literature data. A fatality rate of 18.6% was found in a German study with a similar population of PICU-admitted children during the pandemic period.20 In Porto Alegre, Brazil,10 a fatality rate of 9.1% was described among younger hospitalized children. Data from epidemiological reports in Brazil31–33 and studies in other countries3,34,35 showed that, in the post-pandemic period, H1N1 virus continues to circulate and cause SARI and deaths. The influenza virus continues to mutate and frequently re-appears in variant forms. In March 2013, the influenza A(H7N9) virus circulated mainly in China causing serious illness.36 In November 2015, there was one human case of influenza A(H1N2) in Brazil.33 The threat of new pandemics is a reality and continuing surveillance is essential. This study has some limitations. The use of retrospective data restricted the amount of information available. The incomplete data allied to the small sample size made comparisons difficult between subgroups. The non-significant associations between the analyzed subgroups and the studied variables and outcomes may have occurred due to lack of statistical power. In addition, the viral isolation methods were performed according to availability of reagents and equipment, resulting in the utilization of four different methods. However, most samples were tested with the RespiFinder and/or Fast-track methods, optimizing virus isolation. Finally, there was a great interval between the first test for H1N1 and the retest for other virus. Nevertheless, the samples were stored appropriately and were retested only after an assessment for viability. Other etiologic agents besides influenza A(H1N1)pmd09 virus can be responsible for SARI in children admitted to the PICU. The association between viral codetection and disease severity is still controversial. This study represents a contribution to the understanding of viral respiratory infections in the poorly studied population of children admitted to the PICU. More epidemiological studies and improvements in viral detection techniques are needed to define the true role of viral coinfections in respiratory diseases. This study was approved by the Committee of Ethics in Research of the Institute for Research & Education (IDOR), Rio de Janeiro, Brazil, on September 23, 2014 (CAEE: 34179214.3.0000.5249). The consent term was waived since this was a retrospective data extraction from patients records. Fundação Carlos Chagas Filho de Amparo à Pesquisa do Estado do Rio de Janeiro (FAPERJ), Grant Number E-26/110.753/2010. Acute lower respiratory infections in developing countries. M. De Paulis, A.E. Gilio, A.A. Ferraro, et al. Severity of viral coinfection in hospitalized infants with respiratory syncytial virus infection. T. Meningher, M. Hindiyeh, L. Regev, et al. Relationships between A(H1N1)pdm09 influenza infection and infections with other respiratory viruses. I.A. Echenique, P.A. Chan, K.C. Chapin, et al. Clinical characteristics and outcomes in hospitalized patients with respiratory viral co-infection during the 2009 H1N1 influenza pandemic. M.S. Nascimento, A.V. Souza, A.V. Ferreira, et al. High rate of viral identification and coinfections in infants with acute bronchiolitis. R. Libster, J. Bugna, S. Coviello, et al. Pediatric hospitalizations associated with 2009 pandemic influenza A (H1N1) in Argentina. F.P. Esper, T. Spahlinger, L. Zhou. Rate and influence of respiratory virus co- infection on pandemic (H1N1) influenza disease. C. Camargo, S.B. Guatura, N. Bellei. Respiratory viral coinfection among hospitalized patients with H1N1 2009 during the first pandemic wave in Brazil. D.W. Fawkner-Corbett, M.C. Duarte, K. Rose, et al. The impact of the H1N1 influenza pandemic on clinical presentations and viral epidemiology of acute respiratory infection in preschool children in Brazil. M.C. Scotta, R. Mattiello, P.J.C. Maróstica, et al. Fatores de risco para necessidade de ventilação mecânica em crianças com Influenza A(H1N1)pdm09. C.O. Eriksson, D.A. Graham, T.M. Uyeki, et al. Risk factors for mechanical ventilation in U.S. children hospitalized with seasonal influenza and 2009 pandemic influenza A.
S. Rhedin, J. Hamrin, P. Naucler, et al. Respiratory viruses in hospitalized children with influenza-like illness during the H1N1 2009 pandemic in Sweden. Saúde Md. Protocolo de manejo clínico e vigilância epidemiológica da influenza. In: Secretaria de Vigilância em Saúde GPdEdSP, editor. Brasília; 2009. A. Martinez-Roig, M. Salvado, M.A. Caballero-Rabasco, et al. Viral coinfection in childhood respiratory tract infections. Molecular diagnosis of respiratory viruses. Utilization of nucleic acid amplification assays for the detection of respiratory viruses. Cost-effective use of rapid diagnostic techniques in the treatment and prevention of viral respiratory infections. S. Jain, L. Kamimoto, A.M. Bramley, et al. Hospitalized patients with 2009 H1N1 influenza in the United States, 2009. M. Altmann, L. Fiebig, S. Buda, et al. Unchanged severity of influenza A(H1N1)pdm09 infection in children during first postpandemic season. D. Bagdure, D.J. Curtis, E. Dobyns, et al. Hospitalized children with 2009 pandemic influenza A (H1N1): comparison to seasonal influenza and risk factors for admission to the ICU. T.H. Yang, D. Chu, B.S. Hu, et al. Clinical aspects of influenza A(H1N1)pdm09 cases reported during the pandemic in Brazil, 2009–2010. Saúde Md. Boletim Informativo Janeiro 2013. In: Saúde SdVe, editor. Brasil; 2013. Saúde Md. Boletim Informativo Dezembro 2013. In: Saúde SdVe, editor. Brasil; 2013. W. Oliveira, E. Carmo, G. Penna, et al. Pandemic H1N1 influenza in Brazil: analysis of the first 34,506 notified cases of influenza-like illness with severe acute respiratory infection (SARI). D.E. Karageorgopoulos, E.K. Vouloumanou, I.P. Korbila, et al. Age distribution of cases of 2009 (H1N1) pandemic influenza in comparison with seasonal influenza. E. Miller, K. Hoschler, P. Hardelid, et al. Incidence of 2009 pandemic influenza A H1N1 infection in England: a cross-sectional serological study. D. Tran, W. Vaudry, D.L. Moore, et al. Comparison of children hospitalized with seasonal versus pandemic influenza A, 2004–2009. M.G. Semple, A. Cowell, W. Dove, et al. Saúde Md. Boletim Epidemiológico 2014. In: Saúde SdVe, editor. Brasil; 2014. Ministério da Saúde. Boletim Epidemiológico 2015. In: Saúde SdVe, editor; 2015. Ministério da Saúde. Informe Epidemiológico 2016. In: Saúde SdVe, editor; 2016. T. Li, C. Fu, B. Di, et al. A two-year surveillance of 2009 pandemic influenza A (H1N1) in Guangzhou, China: from pandemic to seasonal influenza?. A. Budd, L. Blanton, K. Kniss, et al. Update: influenza activity – United States and worldwide, May 22–September 10, 2016. X. Huo, L. Chen, X. Qi, et al. Significantly elevated number of human infections with H7N9 virus in Jiangsu in eastern China, October 2016 to January 2017.